Life is an Experiment!! 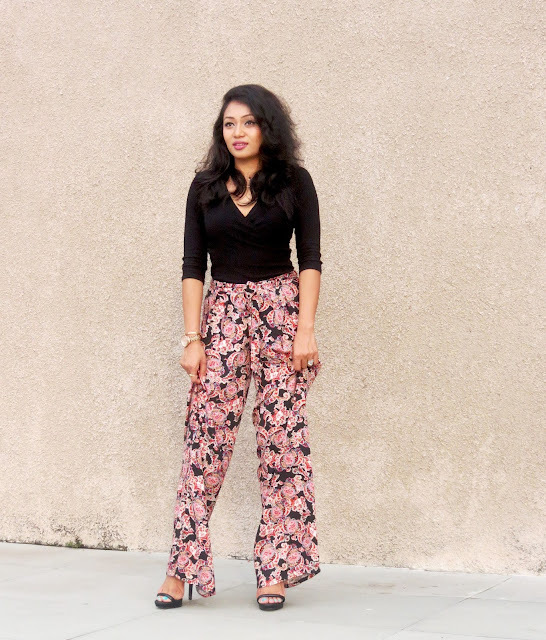 Today's OOTD post is one such experiment that I thought of while trying out this gorgeous Palazzo. 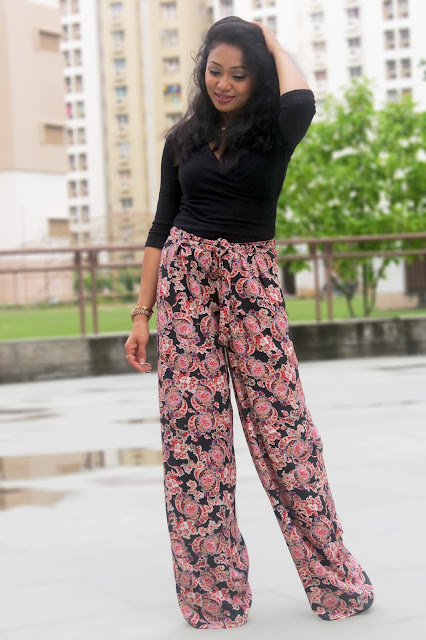 I had always admired these wide legged beauties when I saw people rocking them all around with such elegance, poise and even fun looks. I had always wanted to try them out but was a little skeptical if these would compliment my petite frame. I had a feeling that I may appear even more petite or may be, I loose my definition while sporting them. But to my surprise, when I paired it with the right kind of a top and accessories, I was quite happy with the look. Teamed a plunged V-neck top to elongate my upper body and also give an illusion of length to my rather round face. Rocked a pair of strappy sky high heels and added a three layered dainty golden necklace to round up the look. Hope you liked this experimental outfit. 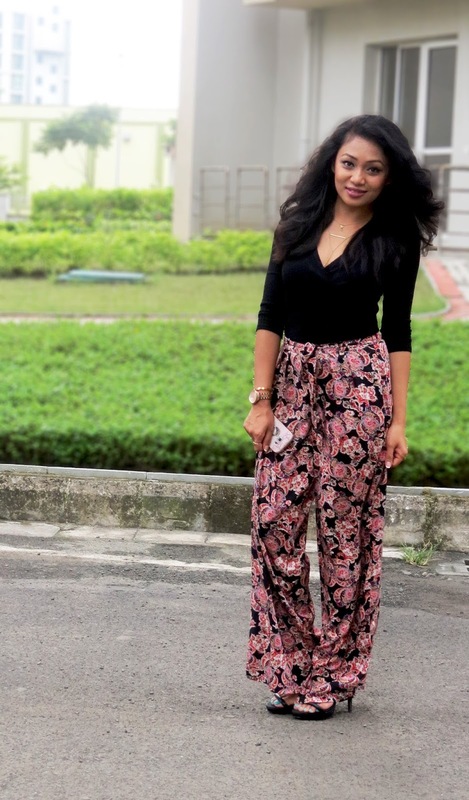 Please share how do you style your Palazzos through your comments as I would love to wear these comfortable pair of pants more often. 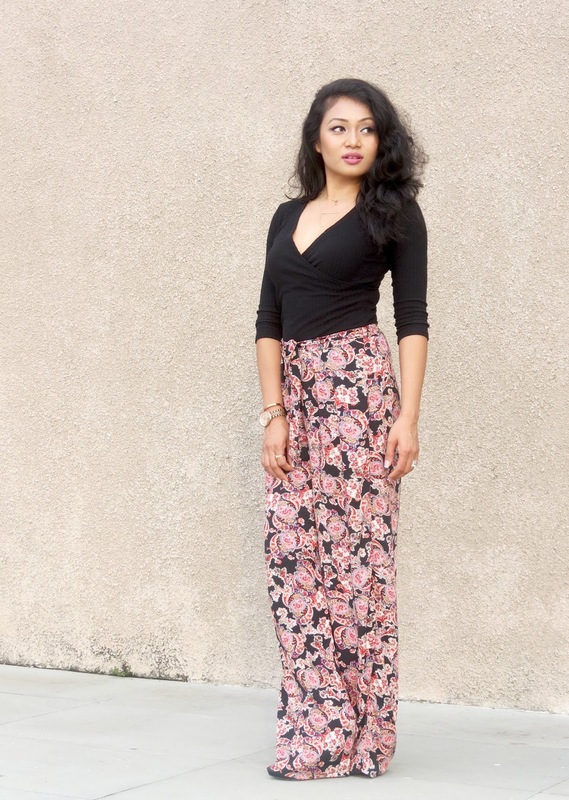 these palazzos are beautiful and i love how you kept it simple with a black top! Ooooooh, these trousers are amazing! Love 'em! Those pants are fantastic on you!